If you haven’t heard of Z Palettes, you need to head over to google and look it up!! These babies are exploding all over the makeup world for a way to declutter and simplify your makeup routine! As someone who travels and refuses to check luggage, convenience and size of everything I am packing is critical so if I can find a way to minimize clutter and size, I am game! Introducing the Z Palette’s, a magnetized palette that you can use to declutter and depot your existing makeup pots into! I have been doing my research for a while now and was so tempted to give it a whirl. Everything I read made it appear somewhat difficult to do however I found it relatively easy! You can also youtube or google this process for a visual! 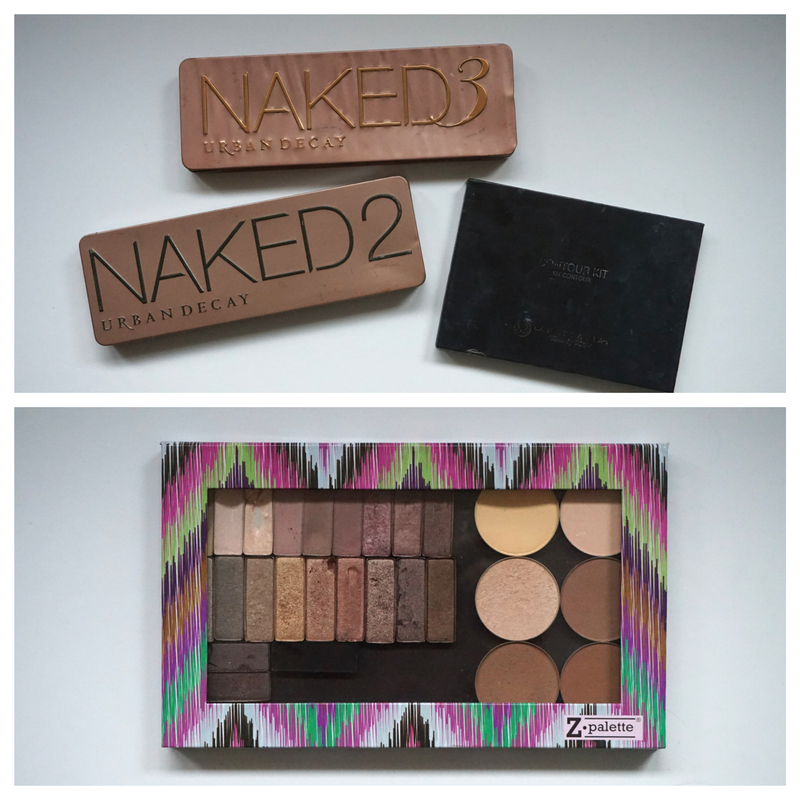 This is how I deported my Naked2, Naked 3 & Anastasia Beverly Hills Contour Kit into one palette! The Anastasia Beverly Hills Kit was super easy as each pot is magnetized you you just have to pop them out and place them into your Z Palette. The Naked 2 and 3 were a little more tricky, some of mine were loose so they just popped right out some were not as easy so I heated the bottom of the Naked Palettes with my hair straightener to loosen the glue stuck to each pot. Once the pots are loose you can organize them within your Z Palette any way you like and as you add more you can easily rearrange! The Z Palette also comes with magnetic strip so if you pots are plastic you can stick those on the bottom and apply them to the pot that way! If you are looking for an amazing way to declutter the amount of makeup ccontainers you have as well as organize your various palettes into one you need this baby! I’ve already ordered a second and plan on having one for eyeshadow and one for face!